Many of us hold assumptions/presumptions, either consciously or unconsciously, that dictate how we observe and react. These assumptions are what we have absorbed from others and may not be separate from what we are. Many people assume that they are separate from others. Many assume that they are separate from their so-called “own thoughts” and rule them from some kind of internal distance. Many assume that the perceiver is (psychologically) separate from the perceived. Many assume that their family consists of a few human beings. Many assume that endlessly imitating others is safe, sane, and wonderful. Many assume that they are fully autonomous and have absolute free will. Many assume that they are dominant, both internally and externally. Many assume that animals were put here for man. Many assume that they have a right to destroy nature. Many assume that someone who sees things very differently than they do is strange or wrong and should be avoided. Many assume that degrees from universities are a sign of deep intelligence. Many assume that thoughts are what they control by a central “I” or “me” that is not another thought. Many assume that fragmentary, limited science has all of the answers. Many take for granted that money and “showing off” are more important than caring. It may be that the very intelligent mind goes beyond absorbed presumptions. Such a mind transcends fear, separation, prejudice, conflict, indifference, dead habit, delusion, and mediocrity. It is likely that only such a mind may be visited by the ineffable and sacred eternal. Good, Arlene! 🙂 Do all you can! Species Act whereby many…including the Monarch butterfly, could be dropped from the list. That’s the insanity and nefarious actions of the current U.S. administration. Nothing like flushing Mother Nature down the drain! And after we have flushed Mother Nature down the drain, humans will be following shortly thereafter. Many people (and most politicians) are oblivious to this. I’ve only seen a handful butterflies this season. A year ago there were too many to count. I planted milkweed two years ago in my front yard. The milkweed has spread everywhere. Waiting for the monarchs to arrive. Good for you! I hope it helps! 🙂 Our riverbank used to have tons of butterflies gathering together in huge social groups to get needed togetherness, moisture, and minerals; not anymore. There are a lot of bad decisions being made in regard to the environment — all while our backs are turned, or our attention’s been drawn to the current shenanigans in D.C. It’s hard to stay current and stay informed, but it’s important. Yes, it is very difficult to see what the current U.S. administration is doing to the environment. It’s nefarious, diabolical, uncaring insanity. It’s very hard to believe, but it is happening. Hopefully, things will change but not soon enough. Excellent post about assumptions and Monarchs! We aren’t on a major migration path for them, but we have a lot of milkweed around here! 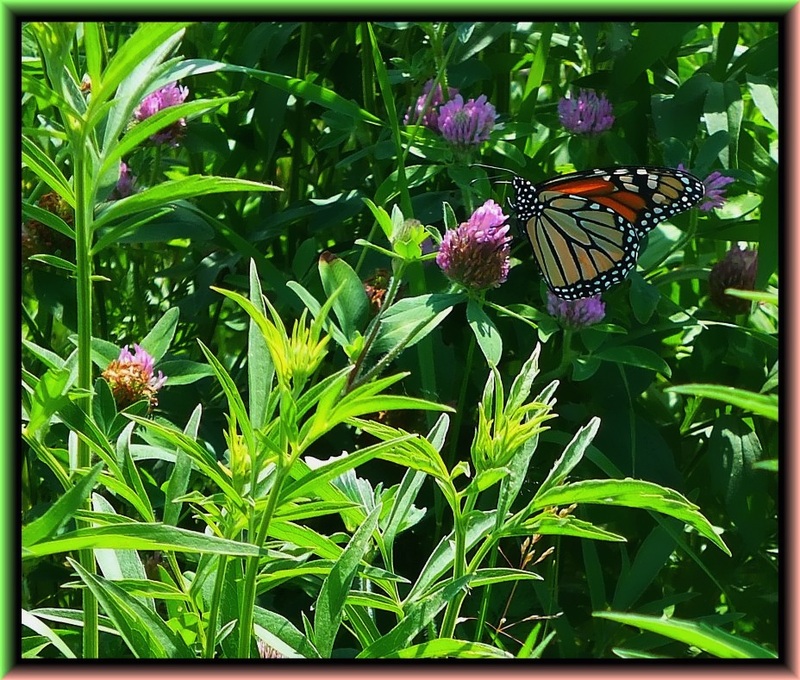 A beautiful monarch butterfly – I love them. The only monarchs I’ve seen this year were attending the royal wedding of Prince Harry and Ms. Markle. I’ve seen one butterfly this year – a lowly Cabbage White and that’s it. I’ve been seeing more butterflies lately but not in numbers like many years ago. At some fields, full of wildflowers, there were only one or two. We need to change things quickly. Yes, they pull up rural areas to make new buildings or more expressways and the creatures must find a new place to live. There is so much construction going on relatively close to me that deer are coming out of woodsy areas and running wild in the street – I don’t live in a rural area at all. There were two or three deer killed last year as they wandered along the highway. We have a lot of deer/vehicle accidents in the northern suburbs, not even as far as going “Up North”. I see many areas, small pockets, where the deer and other creatures are limited too much — space-wise — and are traumatized. Man is taking way more than his fair share. It is so important when people buy milkweed plants or seeds not from big box stores or nurseries but only organic farms. Pesticides. Thanks so much for visiting my blog!